You can contact by phone, email, or by completing the form below. Office hours are 9.00am – 5.00pm Monday to Friday. 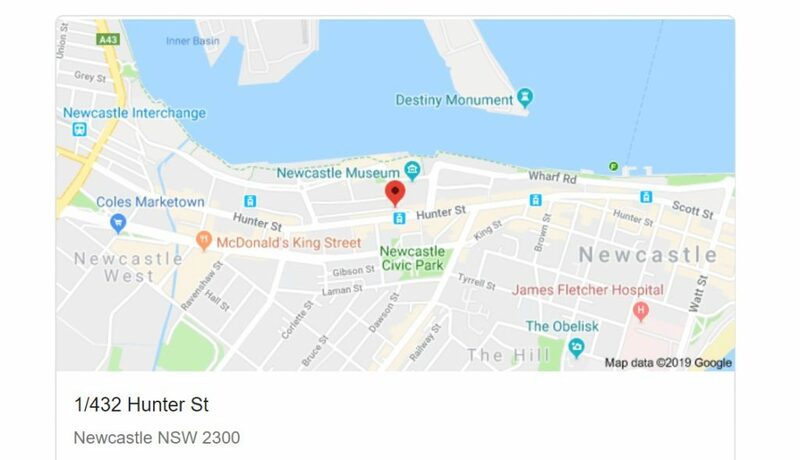 You can find us next to Civic Station in the Passmores’ Building at Level 1, 432 Hunter St, Newcastle.